I have worked for a Pontiac dealer, two independent shops and LA's largest transportation system of fleet cars trucks and vans. All that gave me 30+ years of experience in automotive repair and maintenance, Now I get to work for YOU and all makes and models. I work on a lot of my neighbors cars at their request. Honda/Acura, Toyota/Lexus, Nissan/Infinity, GM, Chrysler and Ford. Michael is great. Right on time and did a great job. Gave very valuable suggestions as well. I will definitely be using this service again and I will be requesting Michael as my mechanic for my other car. Much appreciated. Michael is very professional, he checked my vehicle thoroughly. I am very satisfied with his service. It was so convenient for a mechanic to do a house call. Arrived on time.Professional courteous service. Very Kind and great Mechanic! Michael was punctual and courteous. He explained the work being done and pointed out other items that would need attention soon. He was great. Very helpful inspection and useful suggestions! Great experience. Definitely work with Michael next time. I am a out-of-state buyer and Michael did a pre-purchase inspection for me. He gave me all of the good points and flaws of a truck I was considering to purchase. He provided photos of the truck that showed it from all angles. He showed me a couple of scrapes that did not show up in the dealer's photos and pointed a couple of minor issues. All in all, I highly recommend Michael as he provided great insight to help me evaluate a potential purchase. Thanks Michael!!! Michael does outstanding work and is very thorough. I have had him do various jobs on different cars and on on a scale of 1 to 10 I would definitely give him a 10 and would trust him with any mechanical job! I want to express my sincere appreciation for the help by Michael. 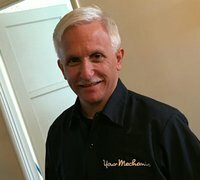 I would definitely recommend YourMechanics.com to my friends, which 20% is due to the easy schedule and fair price by the website, and 80% is for the professional job and great working attitude by Michael! Michael came around 15 min early than we scheduled, did very detailed inspections on my car, and explained each specific item to me. Then, he spent hours working my oil pressure sensor replacement job. During the period, he quickly found the exact issue with my oil pressure switch, which to my point of view could be regarded as another job. Even the time was late, Michael still decided to help me fix the car. Then, he ordered the part and finished job. It was very late when he finished the job, but Michael still checked each part and the car system with his great cautions. If there was the option, I would give him a ten-star evaluation with no hesitation for this great experience with Michael! Michael was very professional and up front with his diagnostic and estimate. We ended up just trading the car in instead of getting the repair, but that had nothing to do with him. If my new car needs any work I'd request him! Excellent work. Really cared about doing a good job. Friendly and knew his stuff!! Thorough, informative, friendly, professional, and early for my appointment. Took the time to answer all of my questions. Very happy with his service. Michael is a great mechanic! Prompt, courteous, and knowledgeable. He also patiently answered all my questions and why he had other recommendations that I need done. Michael was very friendly and professional, did a very good job. An expert in his field. A nice man who I can tell takes pride in doing a good job. Showed up on time, gave a thorough pre-purchase inspection with lots of photos and details showing areas of damage and things that need repair. I'd highly recommend Michael to anyone!